If you know me well, you know that I wish I had the confidence of Dolly Parton, because I would totally wear this ensemble every single day. I’m not kidding. What can I say? I love Dolly Parton. How many women do you know that stick to their guns about their marriage, their faith, their music, their rhinestone fashion sense for their whole adult life? She’s been married for 50 years. She’s dressed and sang like she wants for just as long. So I’m inspired by her today. And a lot of you, too. I have a friend who is amazing and beautiful and interesting and smart and there are a lot of things I admire about her, but here is the one that just blows my mind--she has taught the same aerobics class for over 30 years. WHAT?! I have trouble sticking to any exercise program for 30 minutes. I admire this because she loves it and it revs her engine and she feels alive doing it and it honors God, so she does it. She doesn’t check the cultural temperature before deciding if she should keep on being herself. She just lives the life God gave her, the way God made her, and glorifies Him doing it. Did you catch that last part? Let US run with endurance the race God has set before US. You run your race! It’s different than mine. I have to run the course set before me. 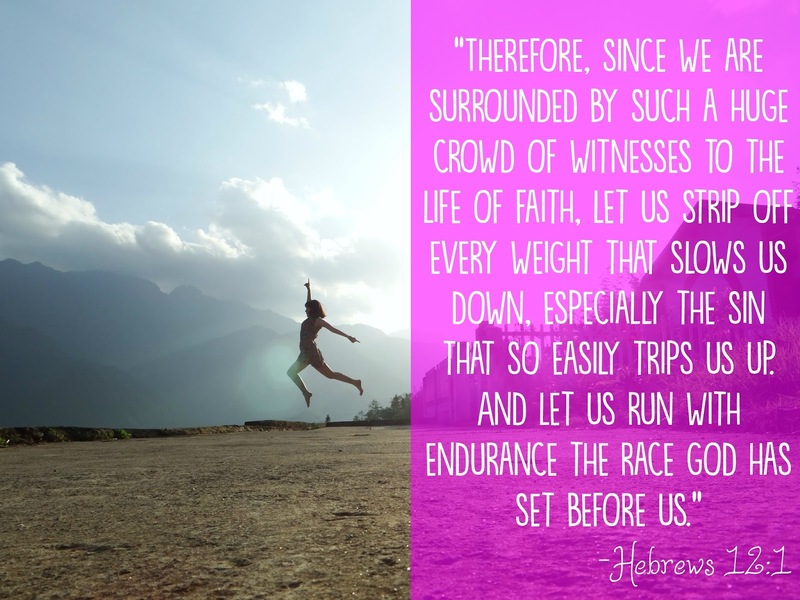 But I am to run with endurance! And when I see you running yours, I get inspired! Our races are different. Sadly, we aren’t all called to wear fantastic rhinestone jumpsuits and have our own theme parks. But we all face hard things, and have crazy joyful moments, and have to climb steep hills, and get to see amazing new starts. So they’re similar, too. And when I see you tackling the same emotions and highs and lows as me, even though they come through different circumstances, it helps me. Motivates me. Pushes me. 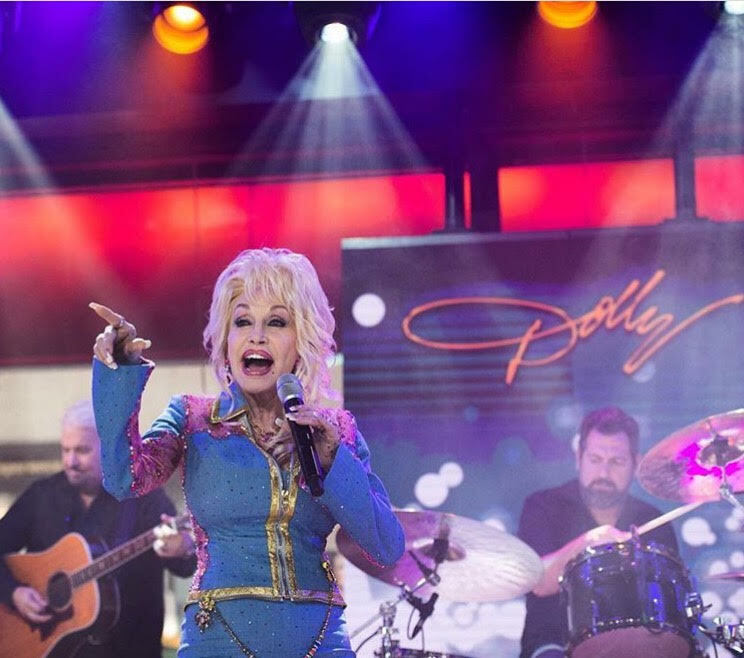 And judge me if you will, but when I see Dolly Parton sing 9 to 5 in all of her glorious sparkles, it gives me just the right amount of mojo to get my glitz on and get going. Have you ever read the opening chapters of Saul’s story? That’s what we talked about at Glow this week. It is remarkable. And familiar. Right off the bat, I relate to Saul! I, too, have spoken words like these. But I see that his words simply weren’t true. Because 1 Samuel 9:1-2 tell us this: “There was a wealthy, influential man named Kish from the tribe of Benjamin. He was the son of Abiel, son of Zeror, son of Becorath, son of Aphiah, of the tribe of Benjamin. His son Saul was the most handsome man in Israel—head and shoulders taller than anyone else in the land.” Hey! He was somebody! THE most handsome man in Israel?! Son of a wealthy and influential man?! Why so insecure, Saul? But of course I relate again. 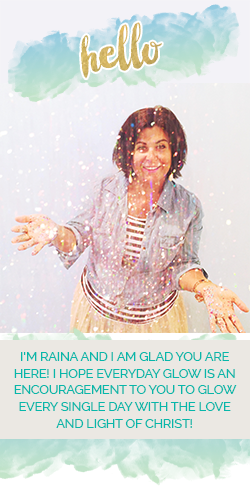 Why so insecure, Raina? Why speak small and tiny things in the face of the greatness of the Word of the Lord? I don’t know what kind of words you throw up in your mind when you read the great and precious promises of God for you, but if they are excuses as to why those promises couldn’t possibly be for you, then I challenge you to ask yourself why you do that. Because whether your invalidations are true or not, the Word of God is ultimate Truth. And insecurity can keep you from accepting God’s Word into your heart, and thus living it out in your life. Many times as soon as the Word comes, the lies arise in our minds and drown out the promise. And when that happens, it’s like a barrier keeping the powerful Word out. An insecurity barrier. 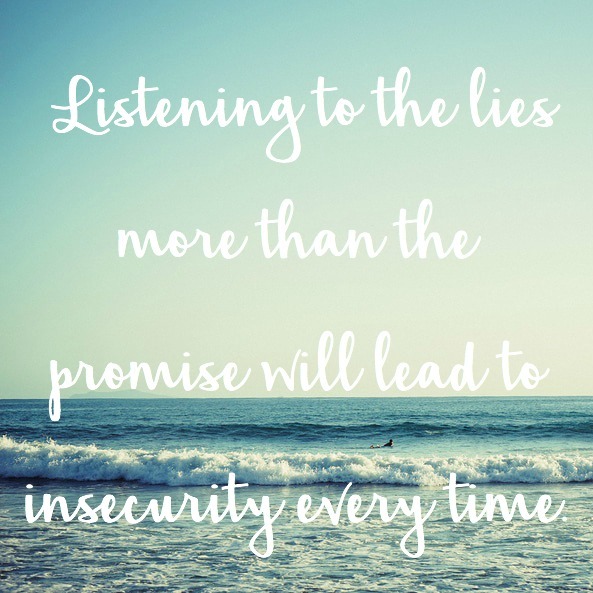 Listening to the lies more than the promise will lead to insecurity every time. So what’s a girl to do? Listen to the promise. Over and over. Make it louder. Because it is surer. It is truer. Raise up the promise at the first hint of doubt. Raise up the promise at the first feeling of insecurity. Raise up the promise at the first whisper of “but that can’t be for me”. The Lord on high is more glorious than the noise. Maybe you feel like Saul—the promise came, but all you could hear was the roaring of the waves. Remind yourself that the Lord is mightier than they are. The Lord is more glorious than the noise. “And finally Saul son of Kish was chosen from among them. But when they looked for him, he had disappeared! So they asked the Lord, “Where is he?” And the Lord replied, “He is hiding among the baggage.” 1 Samuel 10:21,22. Now this, too, is familiar. 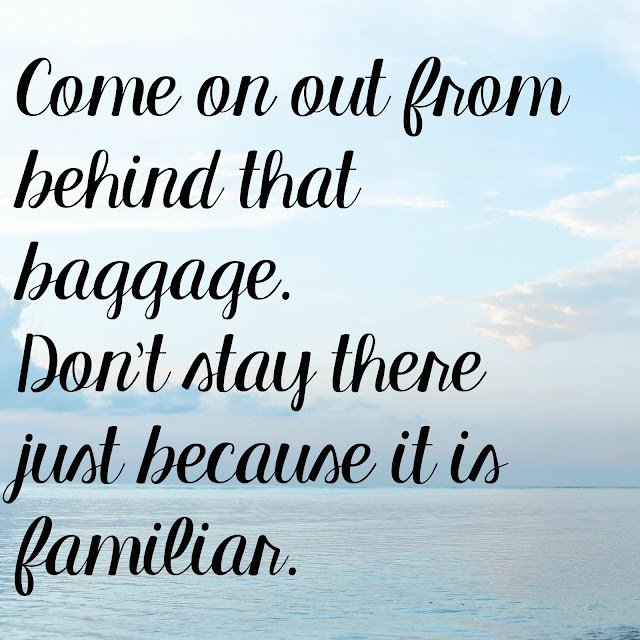 How many times have I been found hiding among the baggage?! Hiding behind lies, hiding behind insecurity, hiding behind fear? Too many, that’s for sure. But just like Saul, God knew exactly where I was. And just like Saul wasn’t disqualified for not being front and center, I haven’t been either. And neither have you. 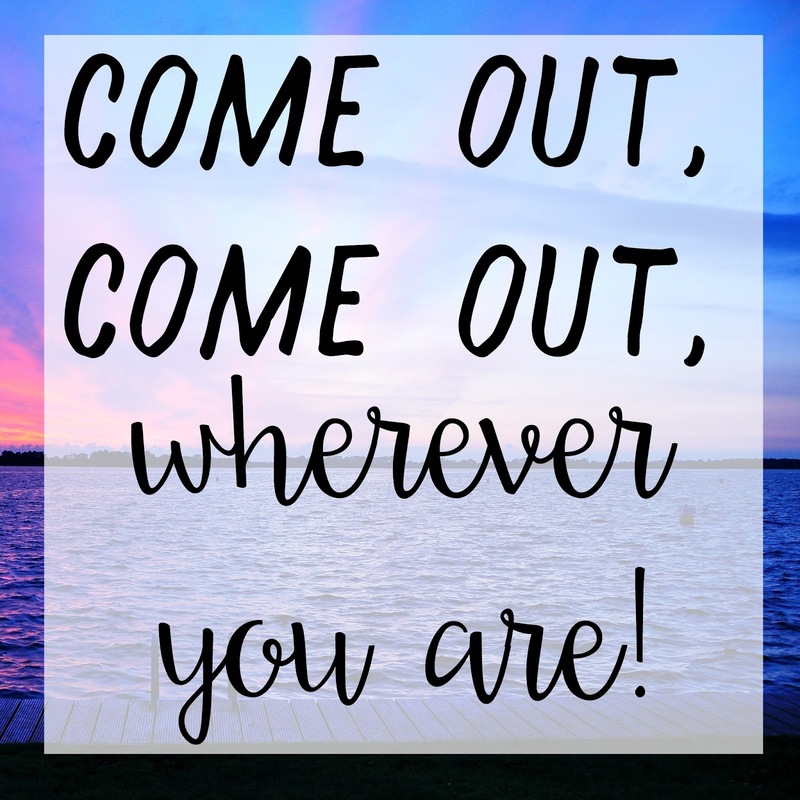 We have a gracious and merciful Heavenly Father who sees you not only where you are now, which may or may not be among all the baggage, but He sees you with the end in mind. He sees all the Promises coming true over you, through you, in you. He sees the destiny coming to pass. Please stop right now and read that again! What a beautiful thing God does. He gives us all these gifts and callings and promises. And then He gives us free will to use them for His Kingdom, or not. But even if/when we don’t, He doesn’t rip them away. The gift has been given. The call was still on Saul’s life! God didn’t change His mind just because Saul wasn’t running to the front of the line to accept it. God didn’t change His mind because Saul was scared. And whatever words or emotions or feelings you have had that don’t seem to “line up” with the call of God and the promises of God over your life does not disqualify you either. God hasn’t changed His mind about you. You’re still the apple of His eye. You’re still the one He sent His Son Jesus to die for. He’s still crazy about you. 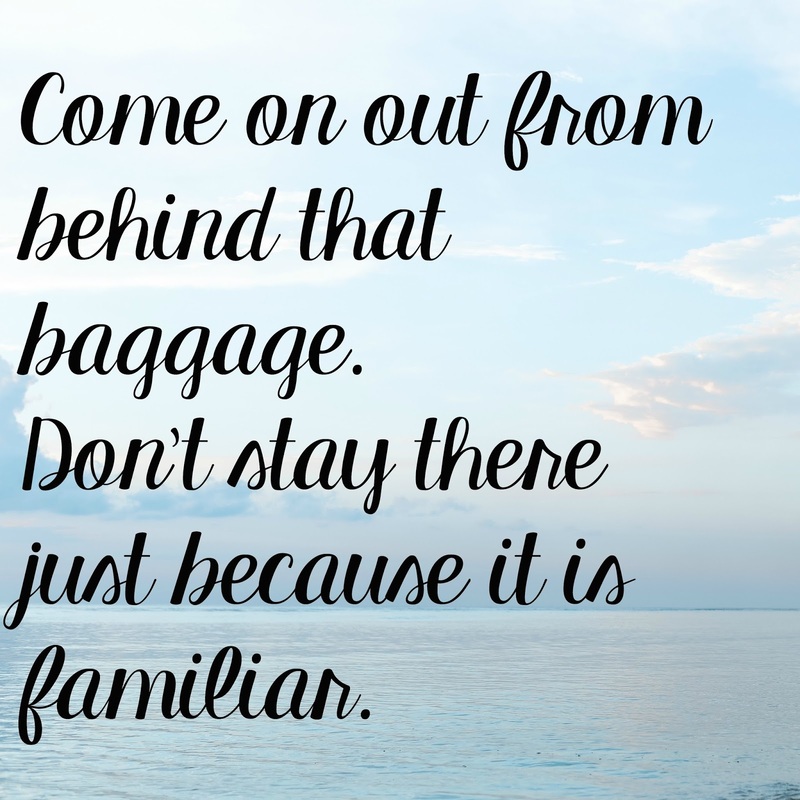 So come on out from behind that baggage. Don’t stay there just because it is familiar. Here’s one way you can break down that baggage of insecurity and begin to walk in the promises of God this very moment: Make the Lord more glorious than the noise. Because He is! Read the Bible. He has given you this Book full of good, good promises for your life! Make it loud in your life! Make IT more glorious than all the other noise. Find a promise—there are oh so many to choose from. And say it to yourself. Look yourself in the eyeballs in the mirror and say it. And remind yourself it is Truth. And because these aren’t your words, or the words of the enemy, but God’s Words, they are living and active. They are sharp and powerful. Say them loud. Say them often. Make them louder. You say that over yourself over and over, because it is the truth about you! You can be secure in God’s love. Secure enough to come out of hiding. Something I Learned This Summer. Hey ladies! 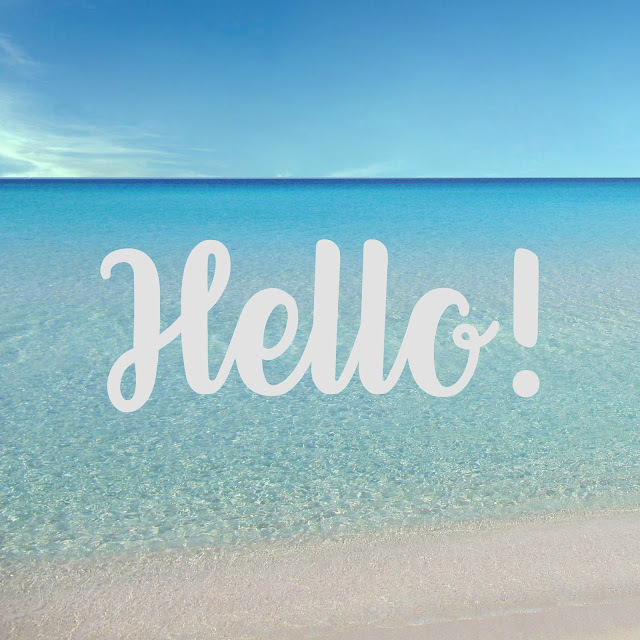 I hope your summer was ahhhh-mazing! I hope you were super busy building sandcastles and watching for shooting stars and sizzling in the beautiful sunshine. It was a great summer for us as a family. And for Coastline—the anniversary service back in June was such a wonderful look back at the past ten years. Of our church, certainly, but also my life. My family. Wow, has God been faithful. As I turn from the celebration of what He has done and look forward into the future, I have confidence that the same God Who has walked with me til now will continue to hold my hand, be faithful, and direct me. What an incredible gift this confidence is. This is certainly not to say there hasn’t been trouble. Oh, there has been trouble. This is to say that Psalm 91:15, “I will be with them in trouble…” has been nothing but true. And that is where the confidence comes from, from the fact that God is Truth. He will not, cannot, lie. I can’t tell you how much energy I have expended over the years trying to avoid trouble. And, sure, we don’t want to make our own trouble for ourselves or others. But I am talking about the trouble that comes to us uninvited. Over these last few months especially, I have had an awareness that the world we live in has unavoidable trouble. Trouble you can’t hide from, duck, or outrun. But Jesus said this would happen. In John 16:33, He says: “In this world you will have trouble.” Kind of sounds like a “gee, whiz, why’d you have to go and say something like that? !” moment, doesn’t it? “But take heart! I have overcome the world.” Oh. And so my confidence in Him builds, even in trouble. What a mighty, mighty God we serve. So, yeah, there’s been some of that trouble these past ten years of my faith journey. But the deliverance from that trouble is what rings in my heart as I look back. And knowing that the Deliverer, the One Who is the same yesterday, today, and forever, will walk with me until my dying breath and beyond gives me hope to walk into the next ten years. The anniversary has come and gone. But the lessons, they stay. And hope builds upon hope. And faith grows. And as big and small troubles comes, as they annoyingly do, I remember whispers of past trouble coming and the whoosh of deliverance and help and the Overcomer overcoming for me. I just read that word “whoosh” back—sounds like it happened all of a sudden, doesn’t it? Oh, how I wish it were so. More often than not it was after times of waiting. Times of praying and praying and praying til I felt I was prayed out. But I have to tell you the truth—the whoosh always came. He has never failed me yet. It didn’t always look like what I thought it would. Sometimes I wanted a certain thing, and I received peace instead. Which in the end was much more needed and powerful. Or I had expected a particular kind of rescue, and actually got a whoosh of patience and a different kind of help. Unexpected and life-changing. Sometimes what you think at first is disappointing is actually the first building block in a whole new part of your life that you didn’t even have the courage to dream about. In my experience, anyway. What would you see as you look back over the past ten years of your life, of your faith journey? Ten years isn’t the magical number, of course. Maybe you met Jesus last year—you have stories all your own, even in a short amount of time. Whatever your story or station in life or circumstances, I bet you have your whoosh moments, huh? The ones that still take your breath away when you recall them? That’s the GOOD part of remembering. We can’t live in the past, we can’t look back and gaze on our own failures and regrets and sins, because, if you have given those to Jesus, they are erased. ERASED, I tell you! Gone. But those things God did for you, those will live forever. Make them a monument, a marker. An ALL CAPS LINE IN YOUR STORY THAT SAYS THAT THIS—THIS!!! !—IS WHAT GOD DID! You’ll never forget it. You’ll tell it to your children and their children and their children. The story of grace and forgiveness and love and patience beyond words. Would you take a break today and just remember with such tenderness something He has done for you? Maybe something so big, or something that may seem small to others, but it is precious to you because only He knew that desire of your heart and made it come true. Just selah. Just pause and think about it. And then turn and go into the rest of this year with such hope and faith and confidence that the One who did that incredible thing and that one, and that one, and that one, still walks with you and will continue to do so. And may this next season be so full of wonder for you that you will tell the story ten years from now.